Did you know that adding a home or room addition is often a smart and more efficient way to gain more space? Adding a room is no small feat, as you have to account for permits, electrical, plumbing and more, depending on what room you’re adding. Fortunately, there are reliable home addition contractors near you who have the experience and knowledge to complete a successful home or room addition. Compare reviews, portfolios, experience and more from the list of room addition contractors below. When you’re ready, ImproveNet can connect you with the top home addition contractors near you. All home remodels require planning, but any home or room addition demands extensive research and design expertise. That’s because unlike smaller jobs, home additions demand multiple specialties, ranging from plumbing and electrical to HVAC, roofing and more. Therefore, when it comes to finding the best home addition contractors near you, interviewing and getting multiple room addition estimates are key! As you meet and talk with them, keep the following addition tips in mind. Take notes and jot down all thoughts going through your head as you chat. Beyond the home addition cost, what and how the contractor answers you will go a long way in determining the best addition professional for your project and budget. Some home addition contractors design additions and some build them. Other addition companies do both. Room additions are much easier than bathroom additions because no plumbing is in play. Some home addition contractors can add a second story to your single-story home, but that will raise your overall home addition price. Some homeowners bring in architects and construction managers to help with the project. 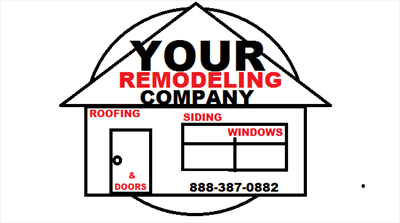 Many home addition contractors near you have working relationships with such tradesmen. Home additions require permits. To obtain permits, the home or room addition must abide by your local zoning laws. Some home addition contractors require you to move out, while others let you live in the home during the addition. If you live in, just know that things can get very messy and loud. Oftentimes, a new breaker must be installed from the main panel and the various boxes needed to deliver power to fans, outlets and light fixtures. Always ask addition contractors of their availability. You may be able to save a lot if you complete the addition months down the line. Experienced room addition contractors charge more than inexperienced addition pros. Some home additions take as little as two weeks, while others may last up to six months. All home addition contractors should provide a detailed estimate showcasing the costs for every step of the process. Most home addition contractors accept check, and some offer discounts for cash. Home additions are not cheap. More often than not, unless you’re adding a very small bedroom on an existing floor, you’ll spend at least $15,000 on a room or home addition. More precisely, according to our home addition cost guide, most homeowners spend roughly $39,000 to add a room to their current home.